KneeBindings are the only bindings in the world with PureLateral™ heel release! This patented mechanism can detect the specific forces that cause most knee injuries on skis, and can release just before the forces are great enough to otherwise injure the knee. Kneebinding's Core DIN 3 - 12 Ski Bindings are a fun expression of performance and protection. KneeBindings are the only bindings in the world with PureLateral™ heel release! This patented mechanism can detect the specific forces that cause most knee injuries on skis, and can release just before the forces are great enough to otherwise injure the knee. 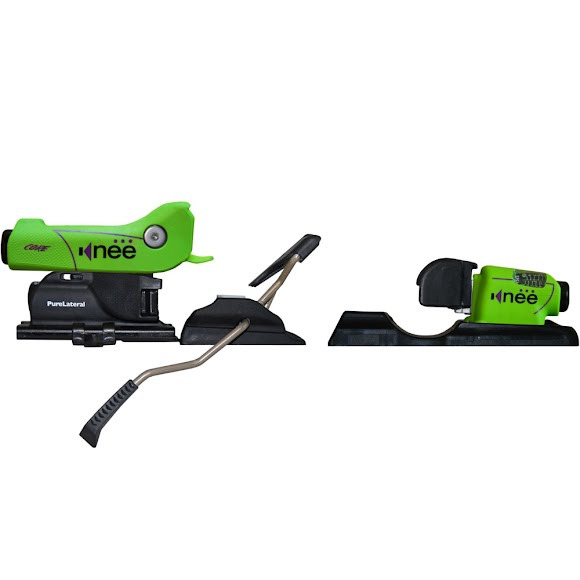 Kneebinding&apos;s Core DIN 3 - 12 Ski Bindings are a fun expression of performance and protection. With the widest mounts, the most stable boot platform, the world&apos;s only floating mount system for flat skis, and even cantilevered brakes for less interference and more reliable switch landings.